We have been informed that starting 12/26/2018 (for existing prescriptions), Excellus will require the use of alogliptin (generic Nesina) if a patient is prescribed a DPP-4 inhibitor. The other medications in the class sitagliptin (Januvia), linagliptin (Tradjenta), and saxagliptin (Onglyza) will no longer be covered. 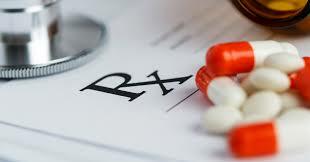 The following combination products will also no longer be covered: sitagliptin/metformin (Janumet and Janumet XR), linagliptin/metformin (Jentadueto and Jentadueto XR), saxagliptin/metformin (Kombiglyze XR), so patients on these medications will need to switch to alogliptin and metformin in separate tablets. Excellus has mailed notification to affected patients and prescribers regarding this formulary change. Of note, alogliptin requires dose adjustment based on renal function. Renal dosing guidance for alogliptin can be found below. The manufacturer’s label also states to use caution when administering alogliptin to patients with liver disease.